The concept of Bimodal IT is that in the rapidly developing digital world businesses require two speeds of IT: Traditional IT which is centred on safety, efficiency and price for performance and Agile IT which is focused on doing things quickly – such as rapid deployment, delivering value and being business focused. Traditional and Agile IT require different skill sets and different people and, crucially, different technology. Traditional IT might be based around delivery of back office systems through on premise or cloud based infrastructure platforms whilst Agile IT is generally considered to be cloud focused with delivery of software as a s ervice tools and applications – often driven by a business unit rather than the IT department itself. With businesses becoming increasingly digitally focused, IT spending power is increasingly moving outside of the IT department. The result is effectively IT having to become an organisation to effectively manage ‘mini digital start-ups’ within the business – in other words moving to an Agile IT model. However the Traditional IT functions cannot be neglected, although the focus both in terms of budget and resources will most likely focus on the Agile areas which will help the business develop. By adopting services to automate the traditional functions of IT – providing demonstrable SLAs, allowing IT operations to scale with the business and allowing resource to be focused on functions that add value to the business, IT leaders can adapt to the Bimodal IT challenge. 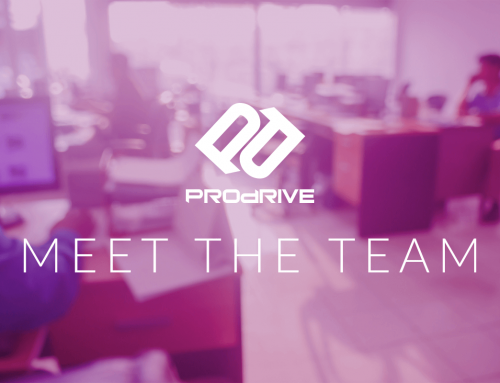 To find out how Pro Drive can help you adapt to the Bimodal IT model and help your organisation grow in the digital world contact our Sales Team on 0330 124 3599.